Khushboo Goel, WG’19, channeled her knowledge in clean energy to uncover decarbonization strategies in the U.S. and India. 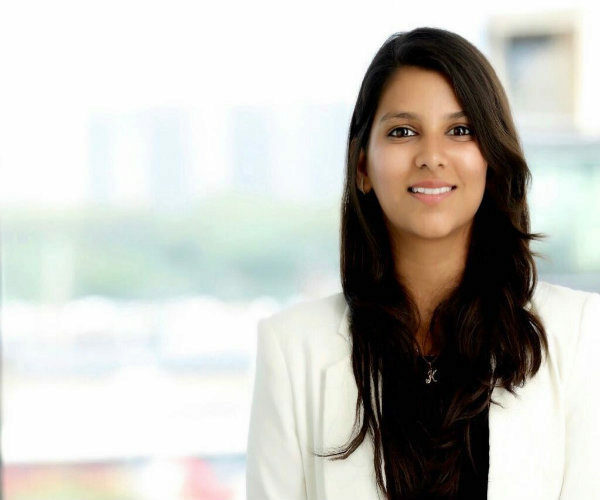 When Wharton MBA student Khushboo Goel, WG’19, received two competing summer offers — one at the United Nations and the other at the International Energy Agency (IEA) in Paris — the decision was “surprisingly easy,” she said. “This is an opportunity you don’t get often. The opportunity to access all of the top knowledge in world energy. The opportunity to work with people from around the world. The opportunity to learn and work on something you are interested in — while at the same time coming home with an international publication,” Khushboo said. As this year’s Kleinman Birol Fellow, Khushboo spent her summer researching deep decarbonization strategies in India and the United States. This research will culminate in an insight paper that will be published on the IEA website. Established in 2016 by the Kleinman Center for Energy Policy at the University of Pennsylvania, this fellowship enables graduate students to spend the summer working on energy policy-related issues at the IEA. Khushboo became interested in energy while working at a large consulting firm in India. She worked on an array of projects, but particularly enjoyed the public sector and all things energy. She worked on a port development project focused on optimizing operations at India’s twelve major ports. Later, she worked on identifying and developing the bilateral trade strategy focused on energy investments between India and Spain. “I picked this project because I’m invested in what’s happening in India and the U.S. And I see myself working in one of these countries.” Khushboo is originally from Delhi and is currently president of the Wharton India Economic Forum. With a bachelor’s degree in commerce from Delhi University and a wealth of work experience, Khushboo entered Wharton’s MBA program. Her interest in energy continued at Wharton, where she served as the team leader on a project in Kenya to help women in clean energy. She also worked on a school project with the Philadelphia Energy Authority, to help develop financial instruments for attracting funding for the city’s distributed solar program. This summer at the IEA, Khushboo was assigned to the gas, coal, and power team. Because of the cross-disciplinary nature of her research, she interfaced with other teams, including those in technology, renewables, and energy efficiency. Khushboo said her experience at the IEA has been “above and beyond” what she hoped for. Unlike a typical internship, Kleinman Birol fellows get to select and design their own projects, she explained. Because of this, she is connected to internal experts who mentor and direct her. And these types of connections go beyond the walls of the IEA. 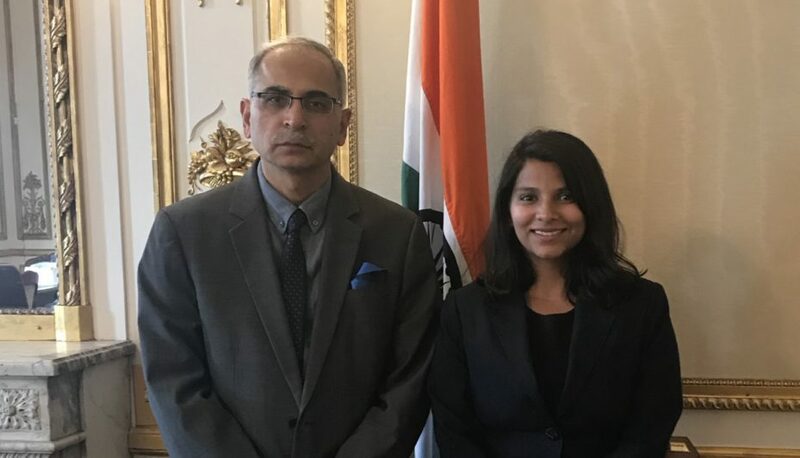 Recently, IEA Executive Director Fatih Birol arranged a meeting to introduce Khushboo to India’s ambassador to France. She was able to personally share her research with the ambassador — one of the highlights of her summer experience. — This story was adapted from an article that originally appeared on the Kleinman Center for Energy Policy website. Housed in Penn’s historic Fisher Fine Arts Library, the Kleinman Center for Energy Policy was established in July 2014 with a generous $10 million gift to the University of Pennsylvania’s School of Design from Scott, C’94, and Wendy Kleinman, W’94. Its mission is to create conditions for policy innovation that support a just and efficient transition to sustainable energy. The Center fosters thoughtful and impactful energy-related research, convenes industry thought leaders with diverse interests to foster productive conversations and action, and engages student learners by providing energy-related courses, a certificate program, lectures, internships, and grants for research and professional development. Arthur van Benthem, assistant professor of Business Economics and Public Policy at Wharton, has worked extensively with the Kleinman Center and was named its first Faculty Fellow. Other Wharton professors who are part of Kleinman’s vibrant scholar network include Bruce Allen, Eric Orts, Erwann Michel-Kerjan, Gerard Cachon, Howard Kunreuther, Jose Miguel Abito, and Sarah Light.